I don’t think that there is anything that compliments a meal more than delicious bread. When there is fresh bread from the oven on the table, people will be reaching for that before anything else, at least at our kitchen table. I have found that I really enjoy adding herbs to my breads, for a little extra flavor. I made rolls to go with the Chicken Alfredo from my last post. By adding the oregano and the dried onion the extra flavors made this bread perfect to compliment the Chicken Alfredo. I found this recipe at Grandma’s Kitchen Table and had pinned this a few months ago and was waiting for the right time to bake up a batch of these rolls. I did change the recipe a little since I didn’t have all the ingredients in my pantry. For a little additional flavor I served the rolls with some butter that had garlic and basil added to it. 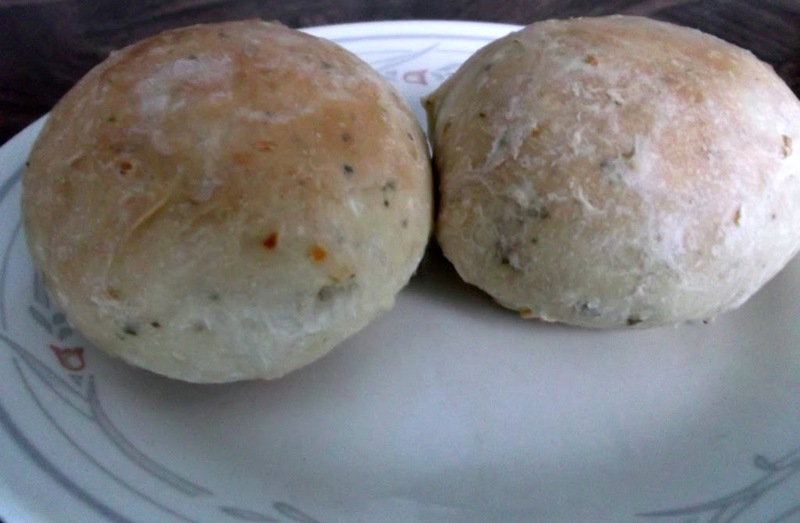 These are perfect rolls to serve with any Italian dish or for that matter any dish at all. Check out Grandma’s Kitchen Table, Kayte always has something yummy cooking in the kitchen. 1. Combine 2 cups of flour and all the other ingredients into a large bowl, knead bread and gradually add the remaining flour until you have dough that is slightly sticky. Grease bottom of bowl and turn bread over to coat both sides of bread. 2. Cover the dough, and let it rise for 60 to 90 minutes, until it’s almost doubled in size. 4. Shape into rolls and place into lightly greased baking pan. 5. Cover the pan and let the rolls rise for about 90 minutes, until they’re puffy. Towards the end of the rising time, preheat the oven to 350 degrees F.
6. 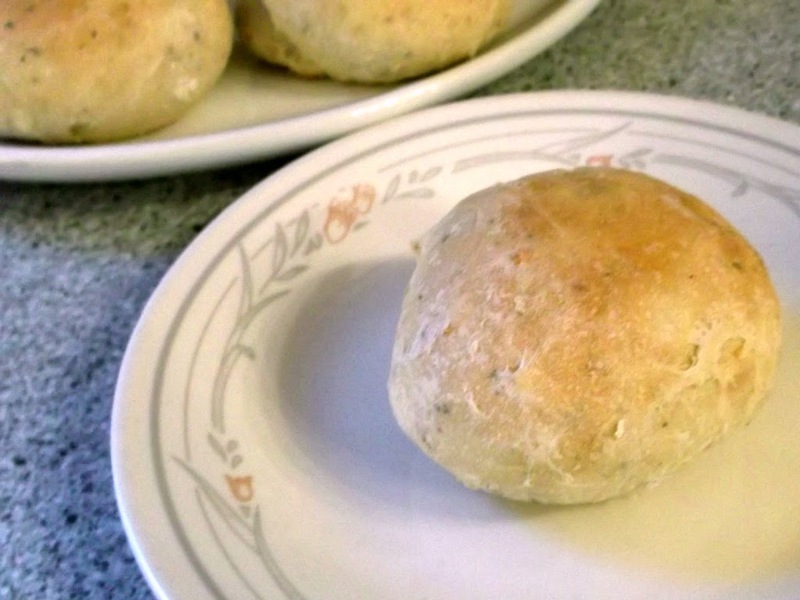 Bake the rolls for about 20 to 24 minutes or until the rolls are lightly browned. 7. Remove the rolls from the oven, and brush them with melted butter, if desired. 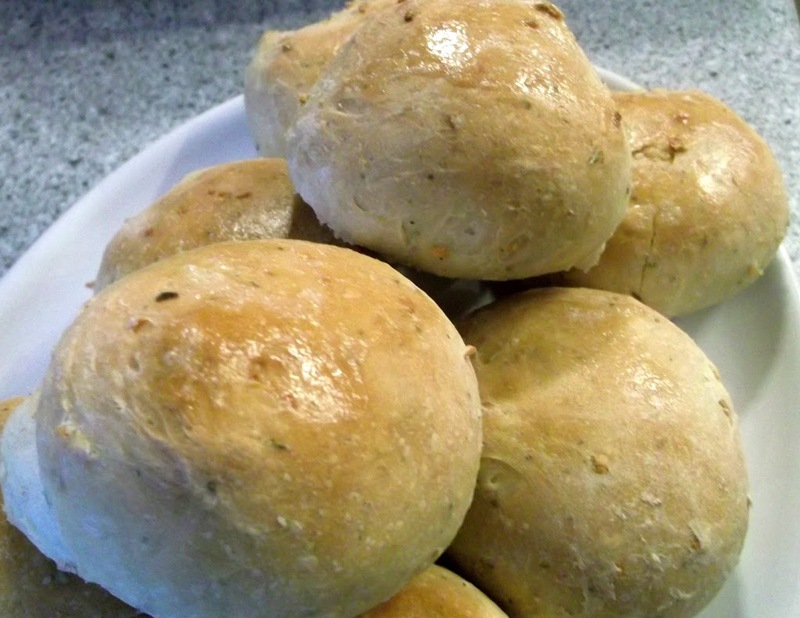 These rolls look so good – love the herbs and onion. Fresh bread is the best! The rolls look and sound delicious. Home baked rolls are hard to resist! Especially when you add aromatic herbs to them. These rock! We’ve been baking a ton of our bread lately. In fact it’s been months since we’ve bought any! But we haven’t been doing rolls, and that should change. These would make a great first try. Thanks!